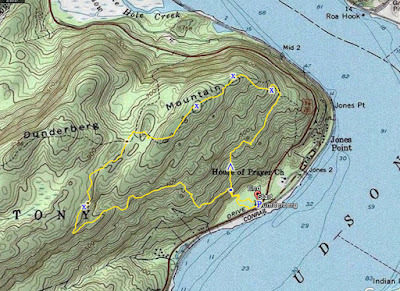 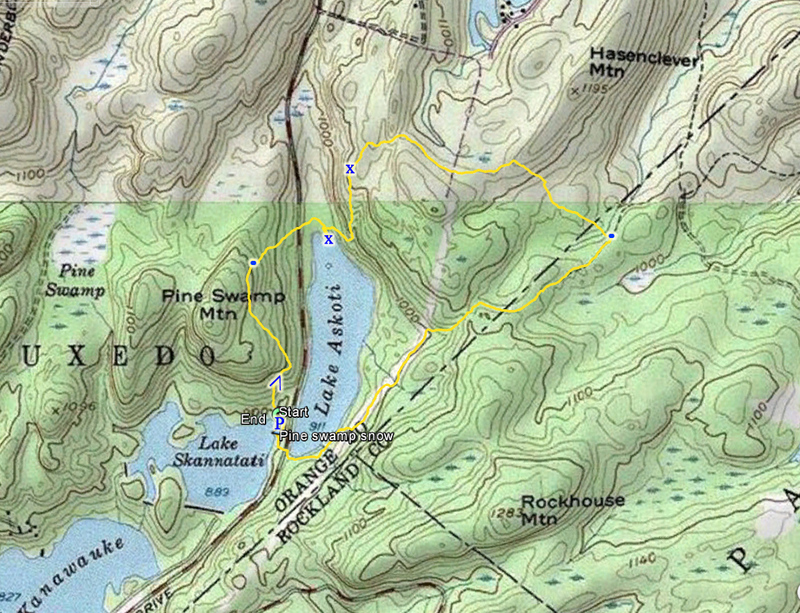 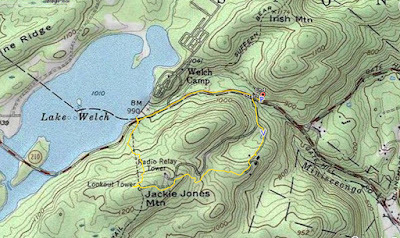 This is a great loop hike. 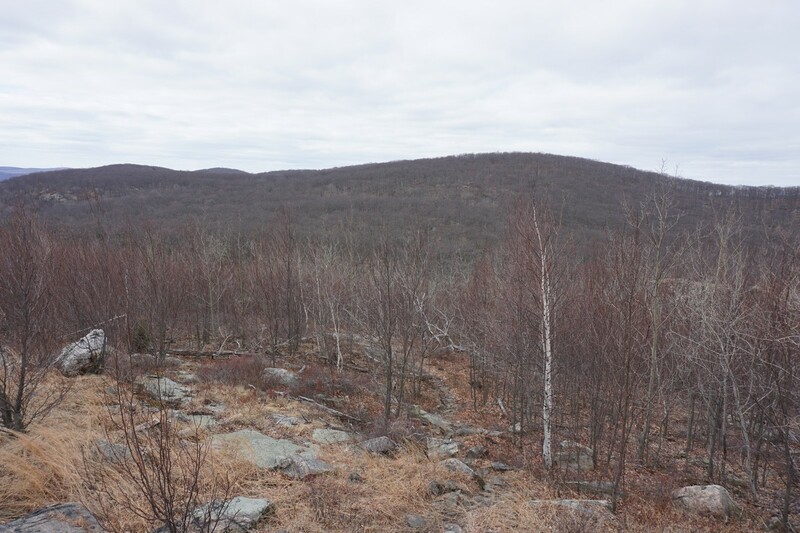 Its been some time since I had been to this area, and this hike makes for a great loop that is highly recommended and someone remote without the large crowds. 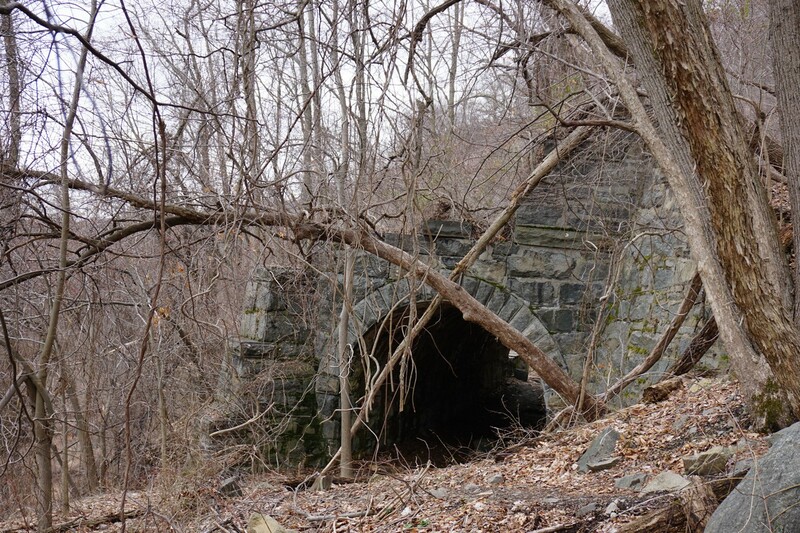 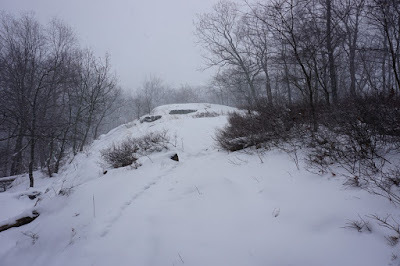 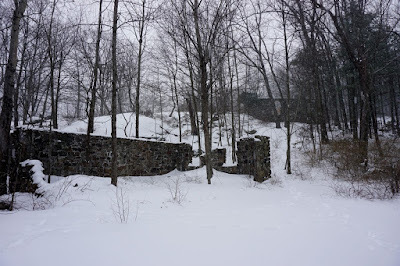 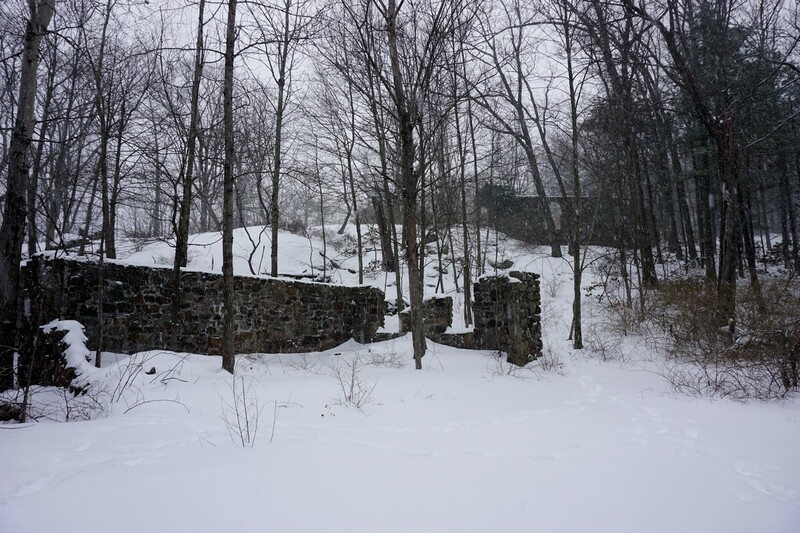 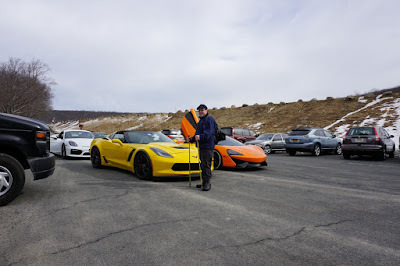 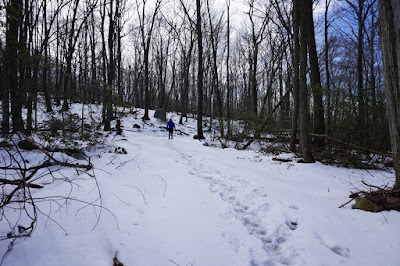 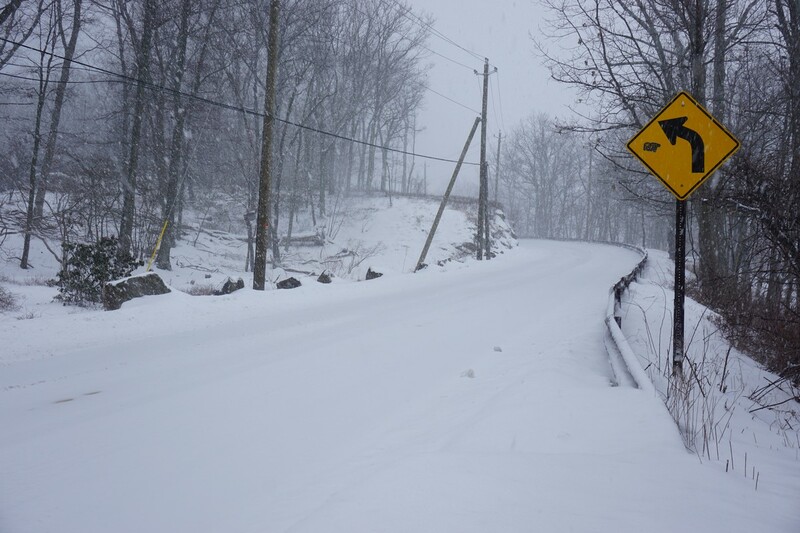 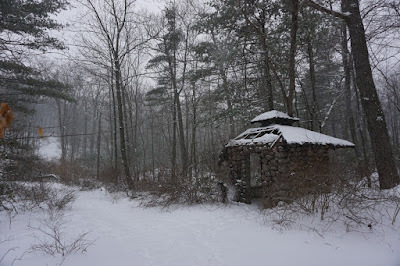 We parked at the Ramapo-Dunderberg Trail trailhead parking on Route 9W, but the road bend, and climbed up the steep ascent of the Ramapo-Dunderberg Trail, passing the abandoned Dunderberg Spiral Railway several times and the tunnel near the beginning. We went around the bend and the first loop, as well as the eastern summit view of the mountain which has great views of the Bear Mountain Bridge. We then heading down through the notch on the mountain, and took the unmarked Bockberg Trail southwest, and then bushwacking to the Timp-Torne Trail at the view facing south. 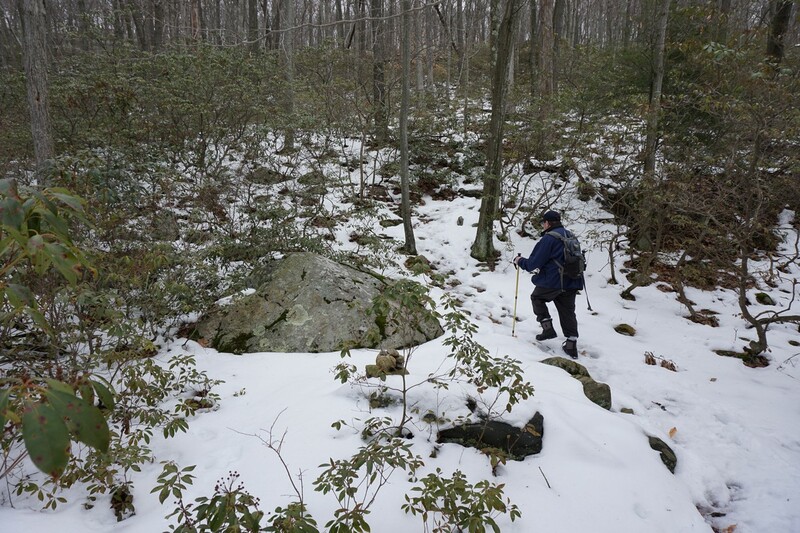 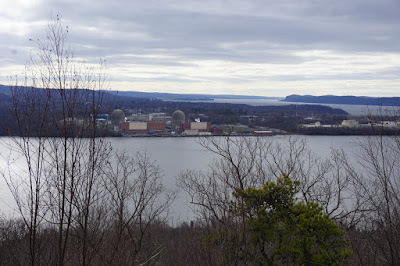 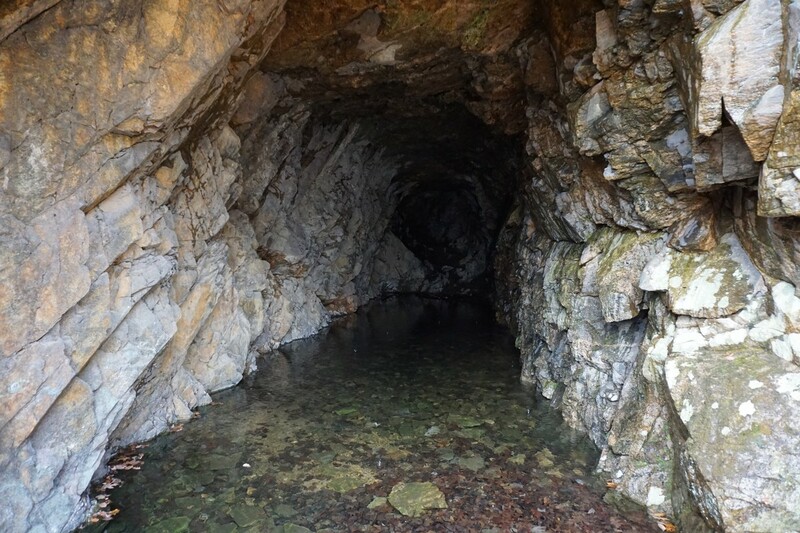 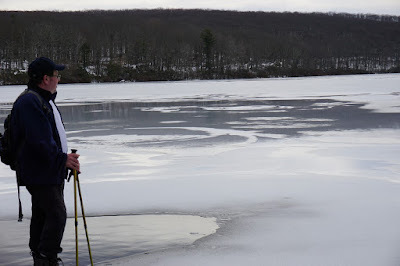 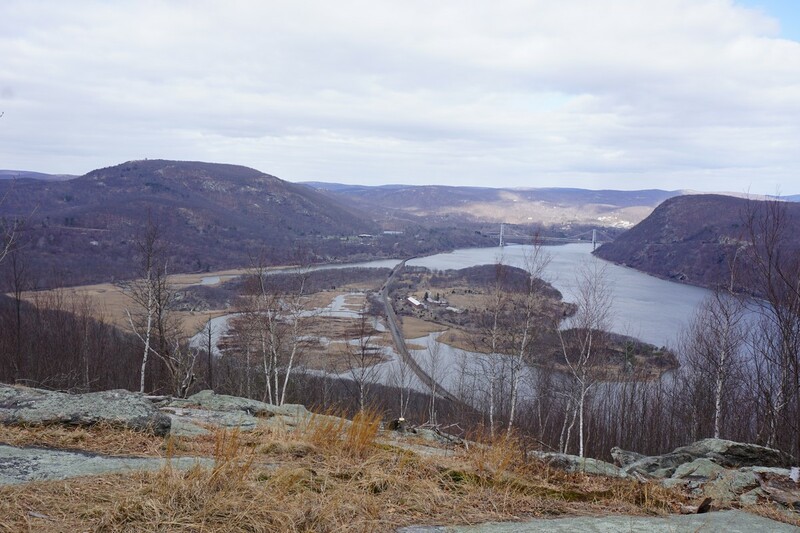 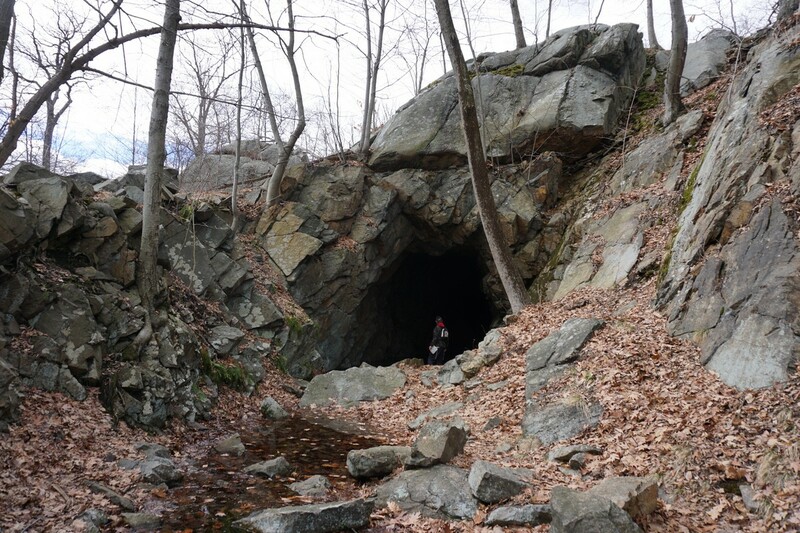 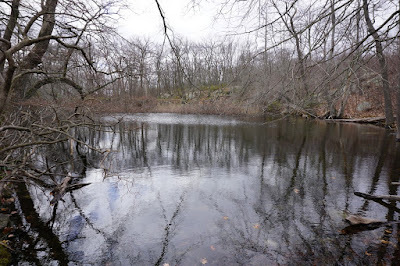 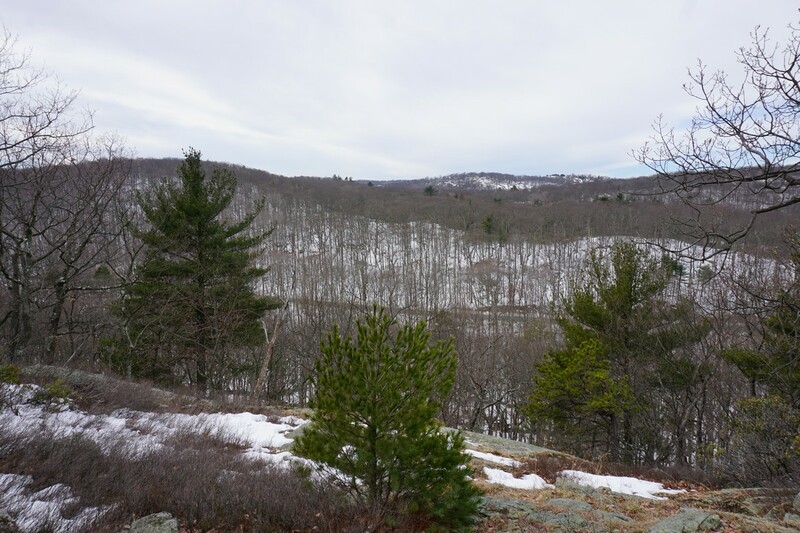 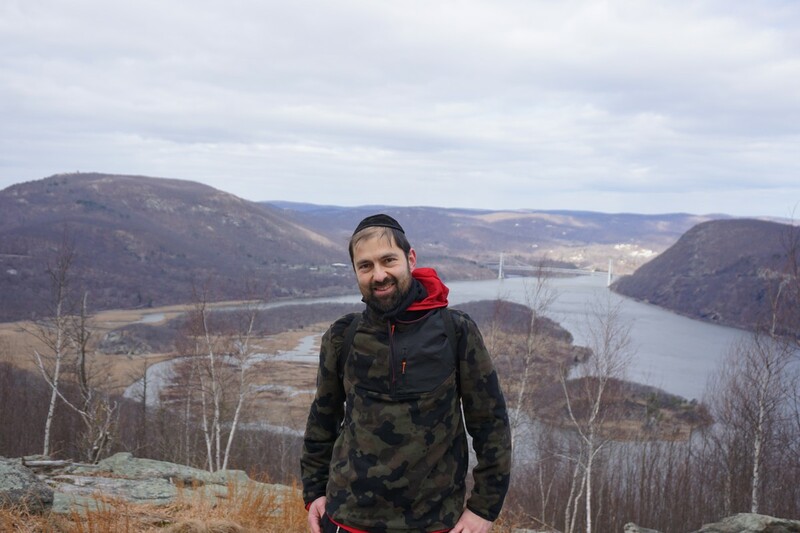 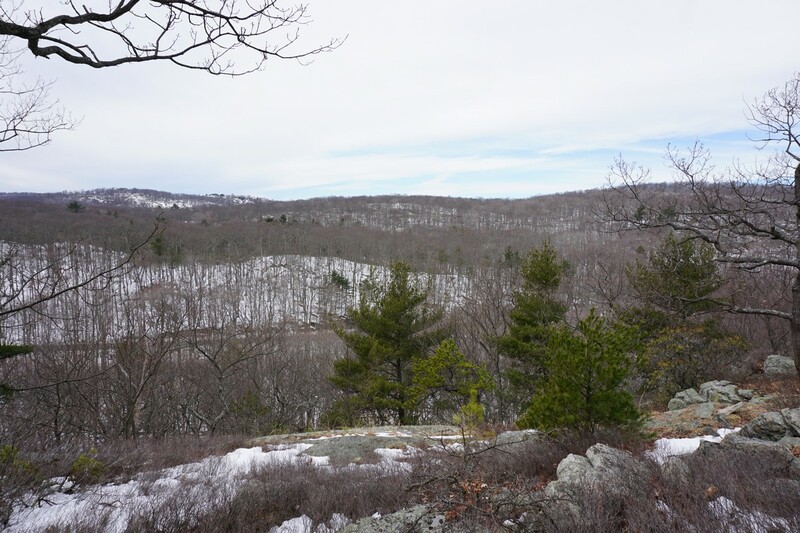 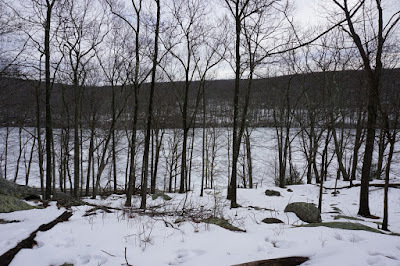 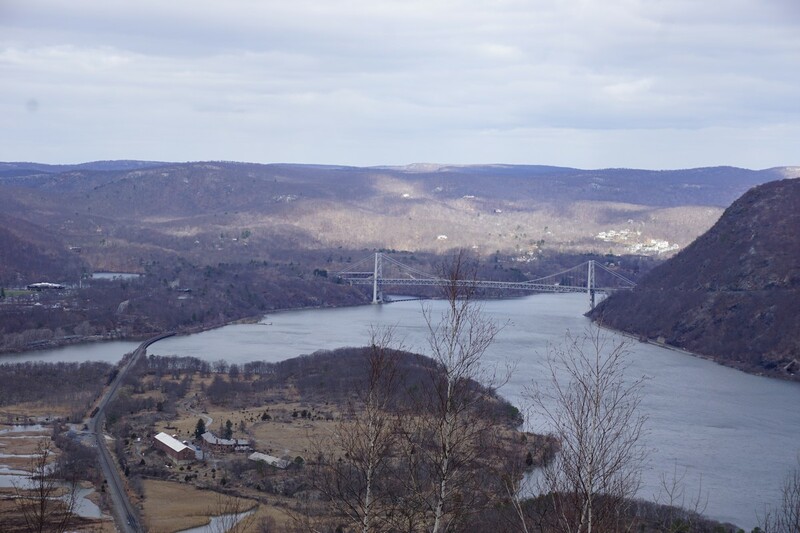 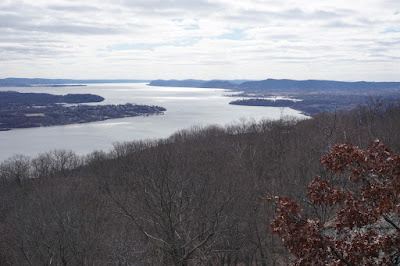 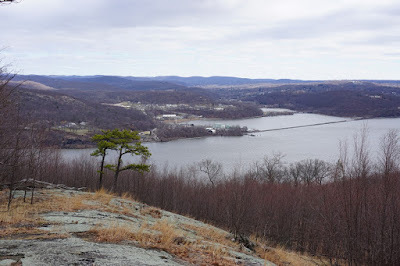 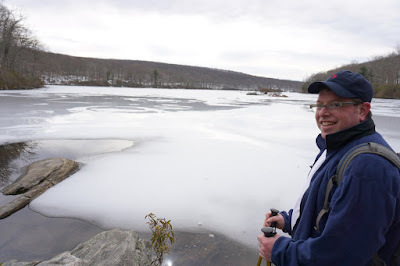 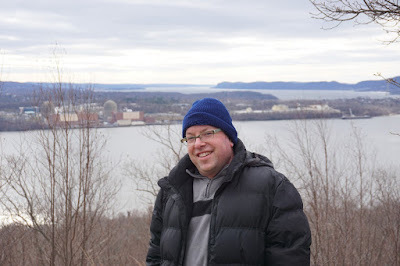 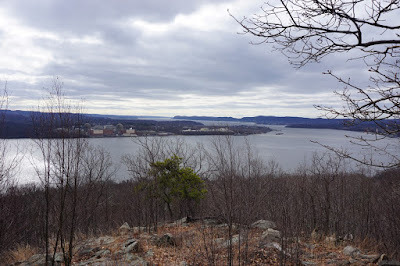 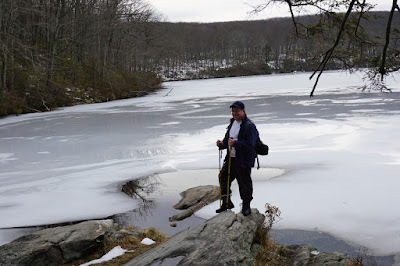 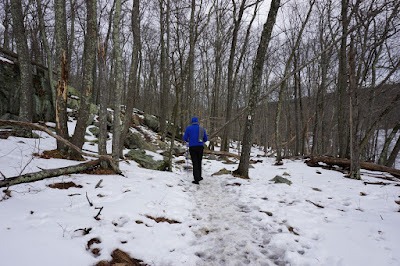 We then descended slowly and passed the unfinished tunnel, and then headed down along the trail to its end at the Ramapo-Dunderberg Trail, and then continued back down the mountain to the trailhead. It had a been a while since I've hiked this area. 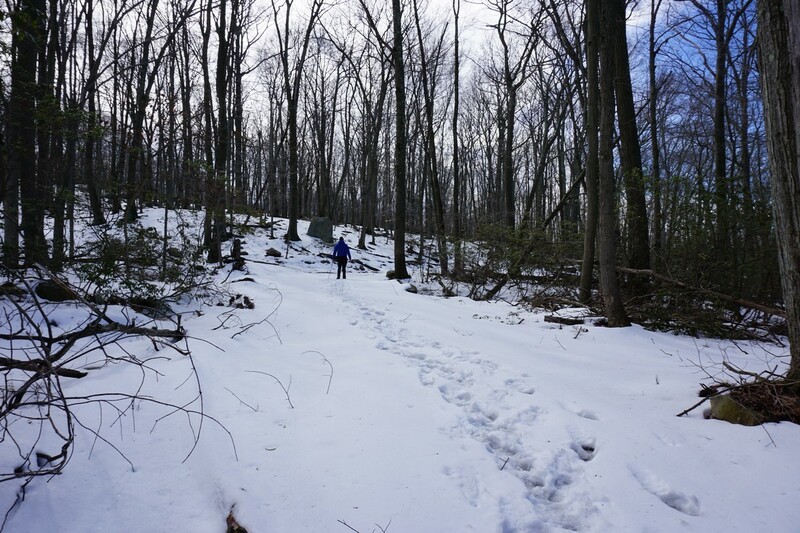 The weather after the big snowstorms the prior week had been warm, and much of the snow had melted. However, there was still good snow coverage up in the mountains where we went hiking. 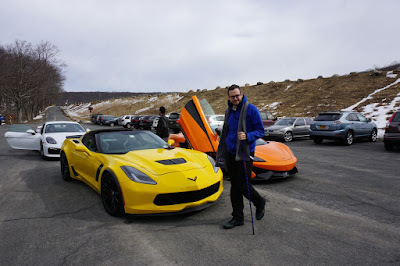 We parked at the Lake Skanatati parking area on Seven Lakes Drive, and met some sport car enthusiasts in the parking area. 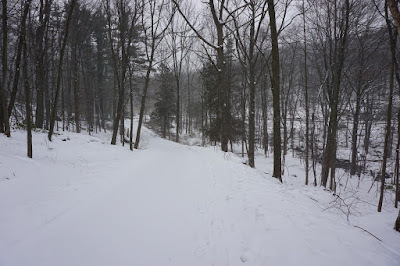 took the Arden-Surebridge Trail up the hill to the Red Cross Trail. 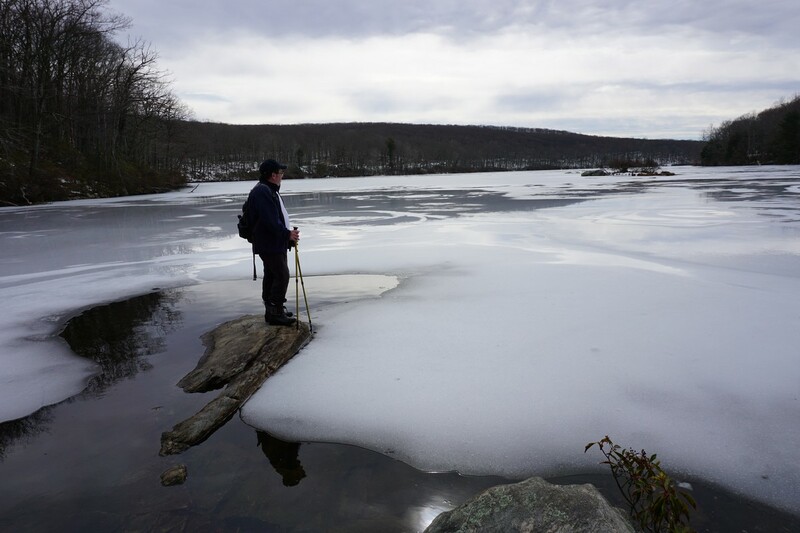 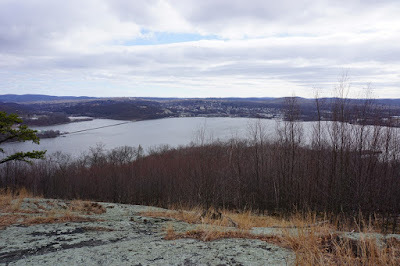 We then took the trail down, crossed Seven Lakes Drive, and went to the rock that juts into the north face of Lake Askoti. 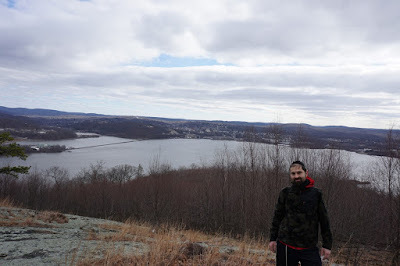 After taking some pictures, we climbed up the mountain on the trail to the view, and then continued along to the trail all the way to the Hasenclever Road offhshoot. We went on that road, continuing along to the Lake Askoti dam and outlet, to Seven Lakes Drive, and then back to our car. 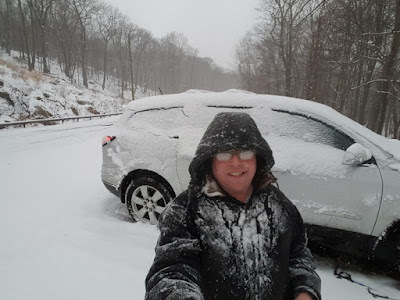 I had just gotten back from a trip to Arizona, and I came back after a significant snowstorm. 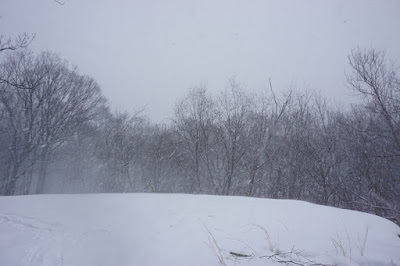 There was about 8 inches of fresh snow, and then three days later was another snowstorm. 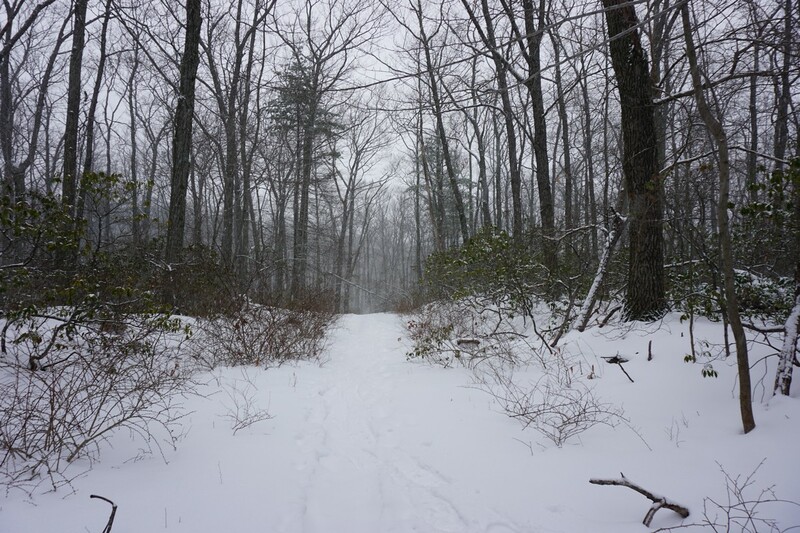 The storm started out as snow but changed over to sleet and freezing rain, but up in the mountains where I was hiking, it was all snow, and coming down very hard. 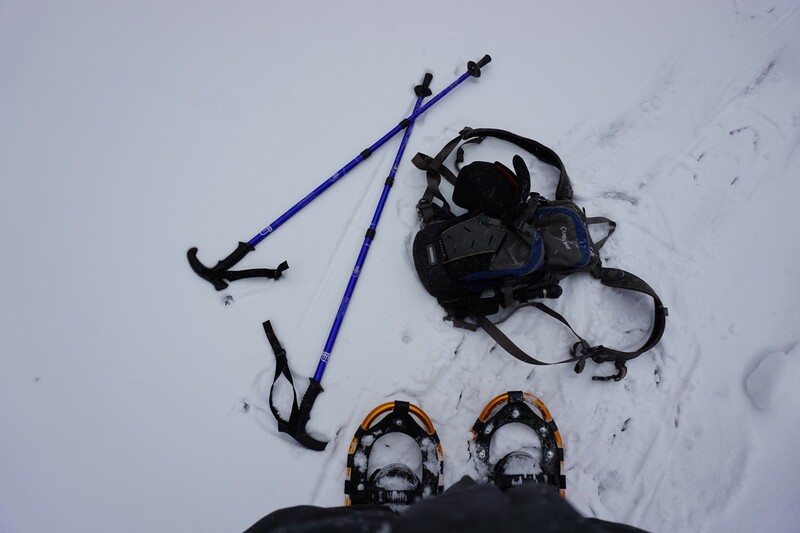 I had not expected such harsh conditions, and the hike got increasingly difficult as I progressed, with snow, wind, and poor visibility. 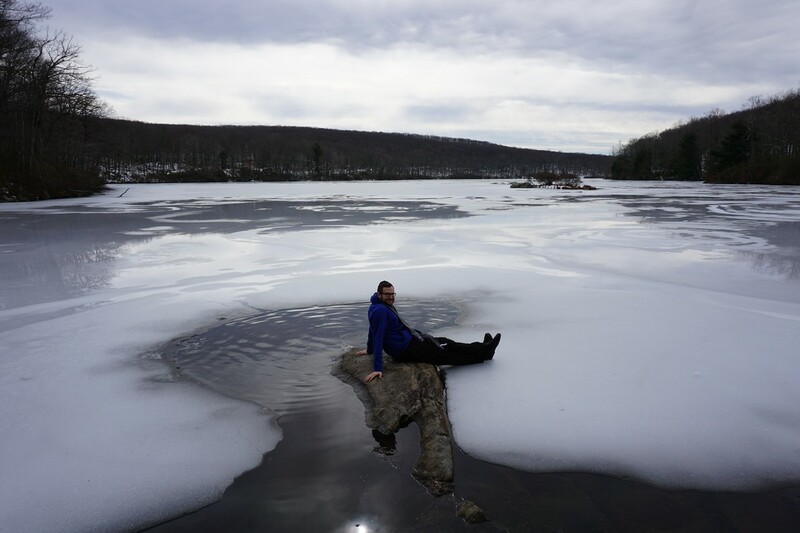 This was my first hike using my new snowshoes this season. 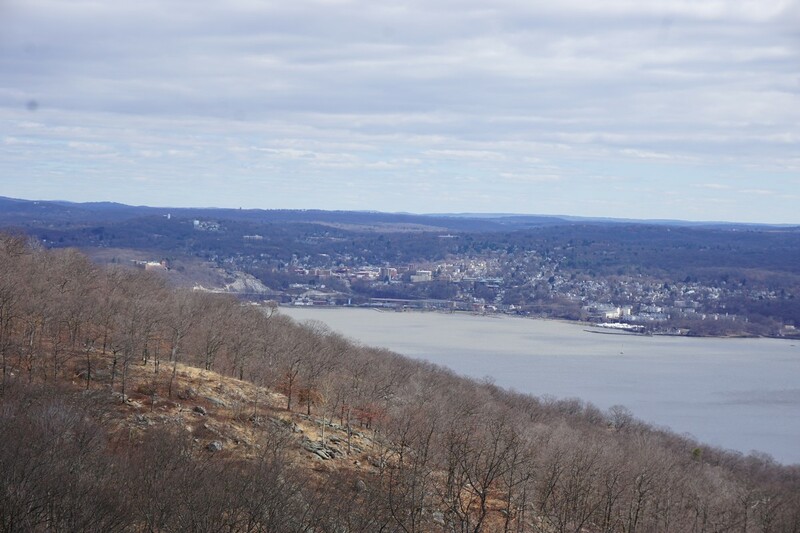 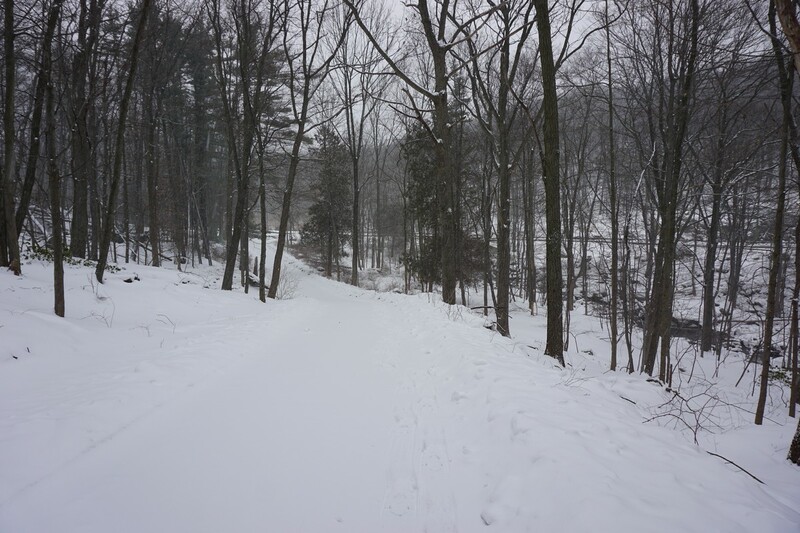 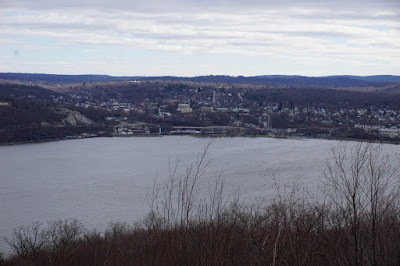 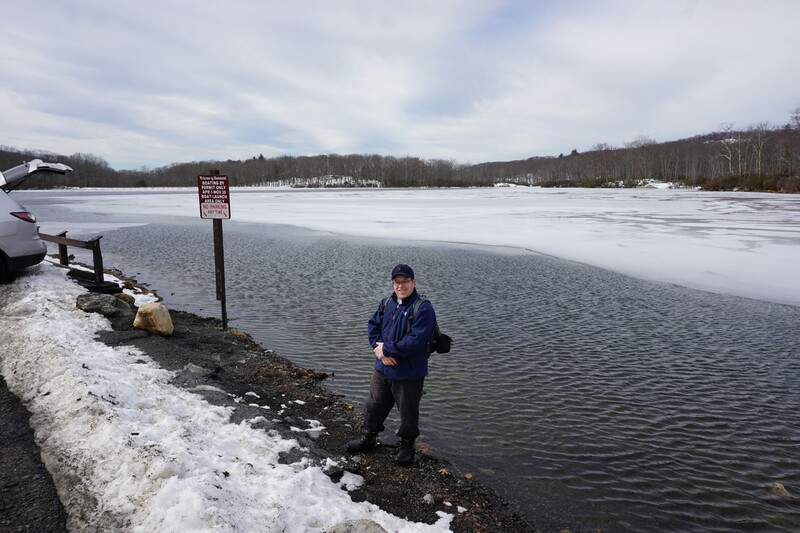 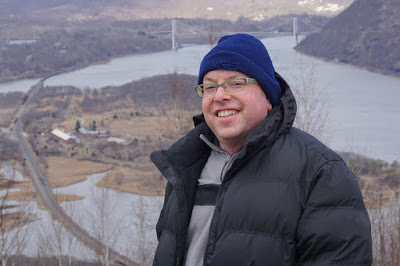 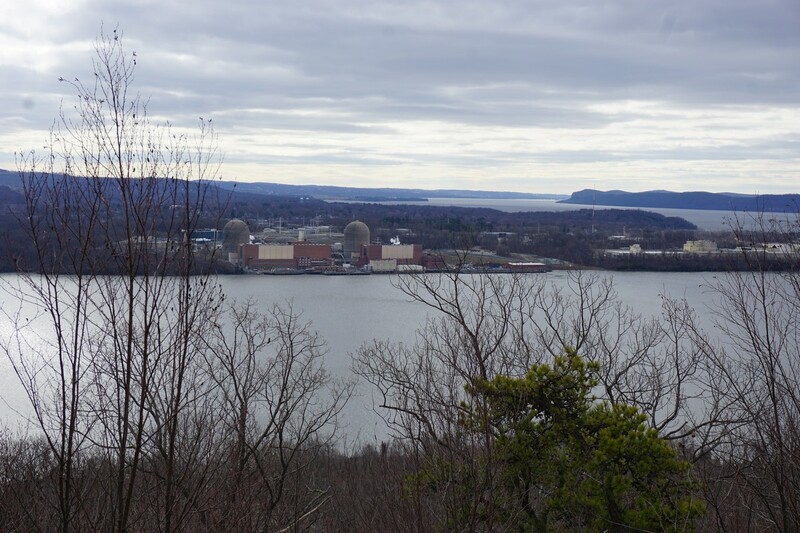 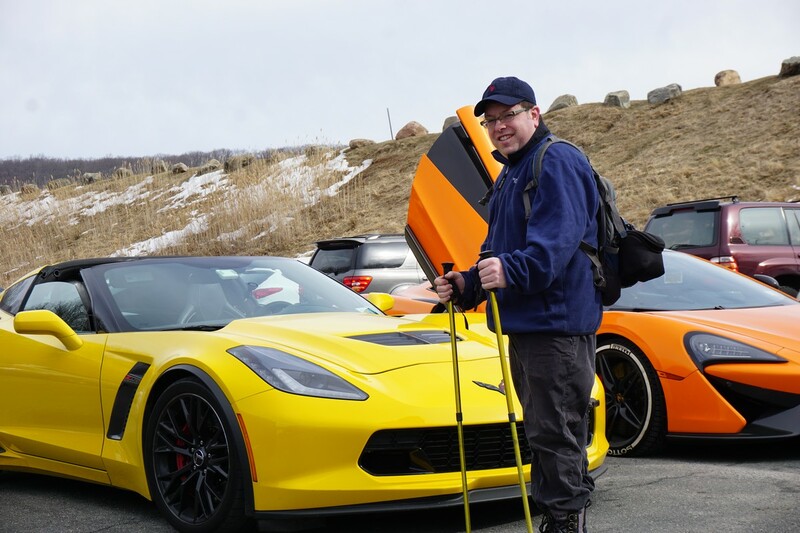 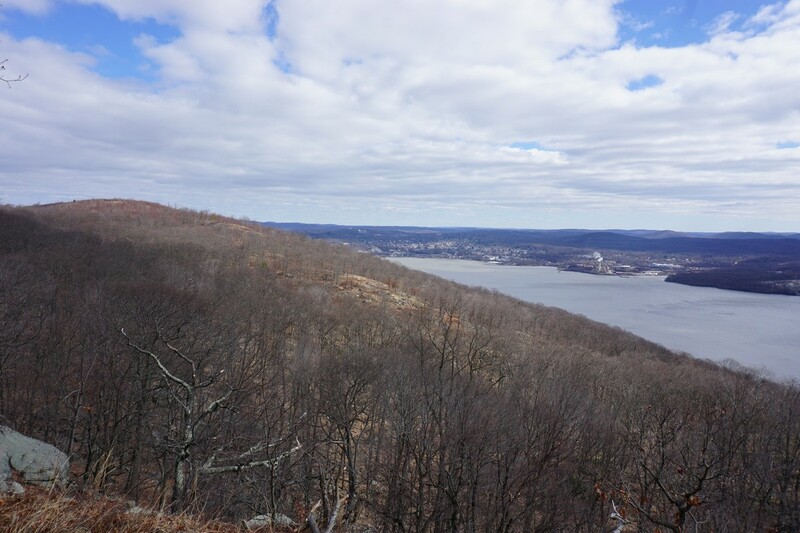 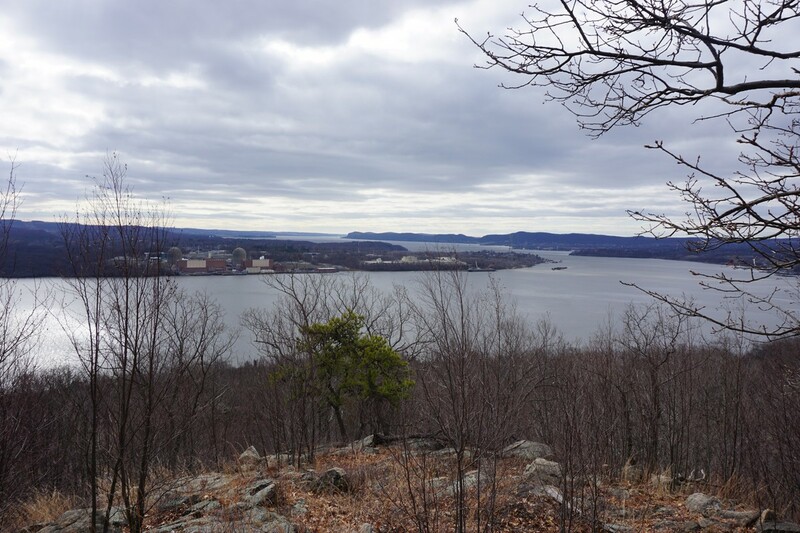 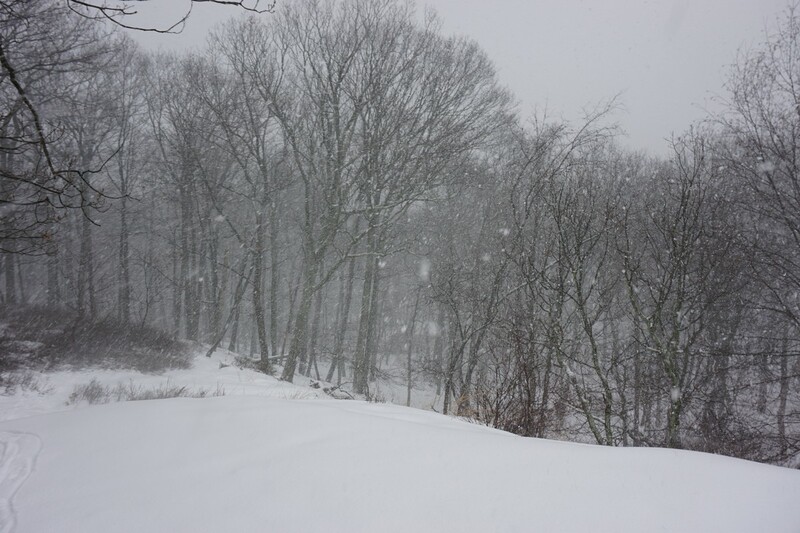 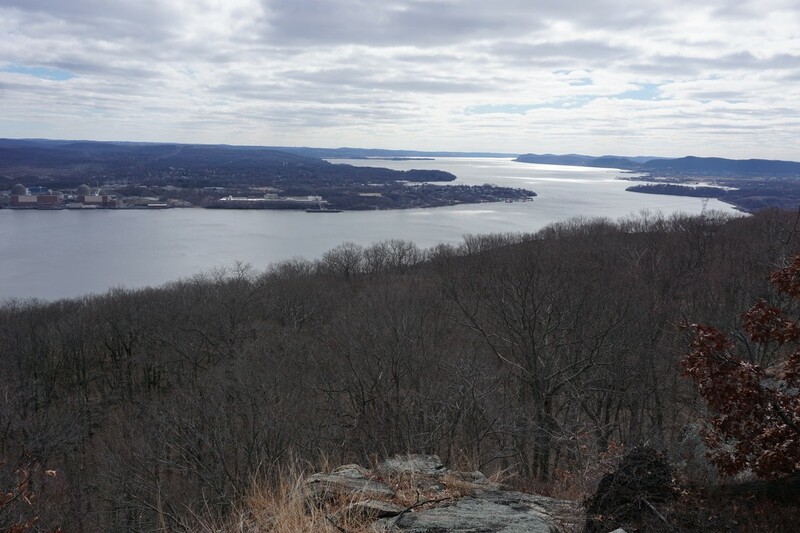 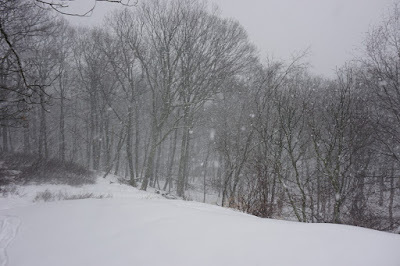 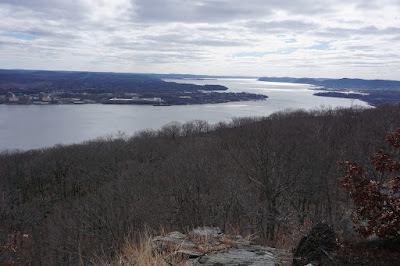 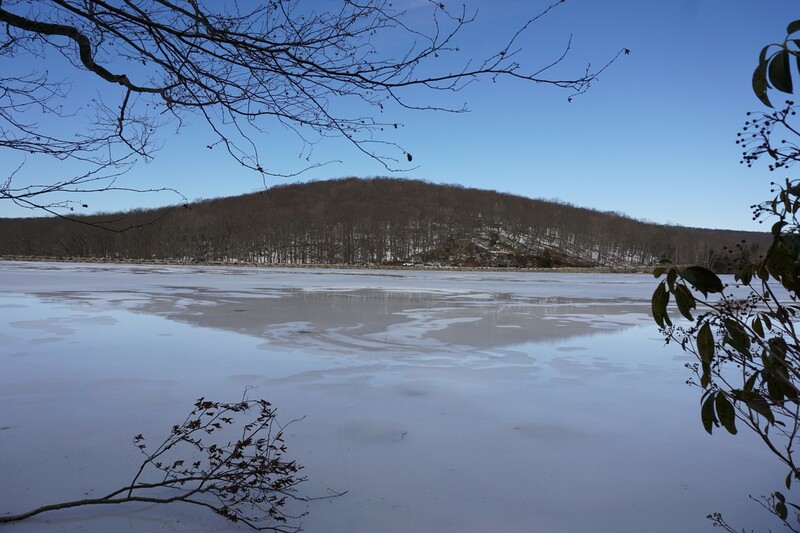 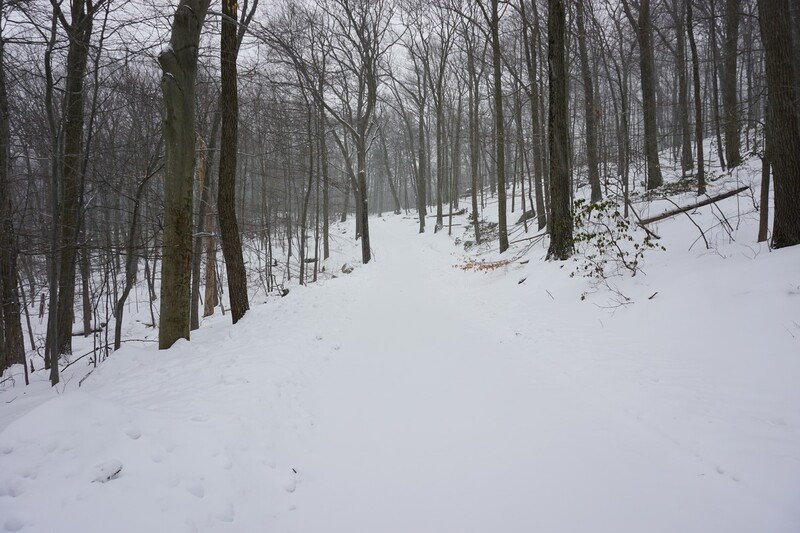 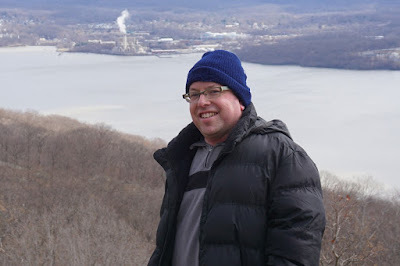 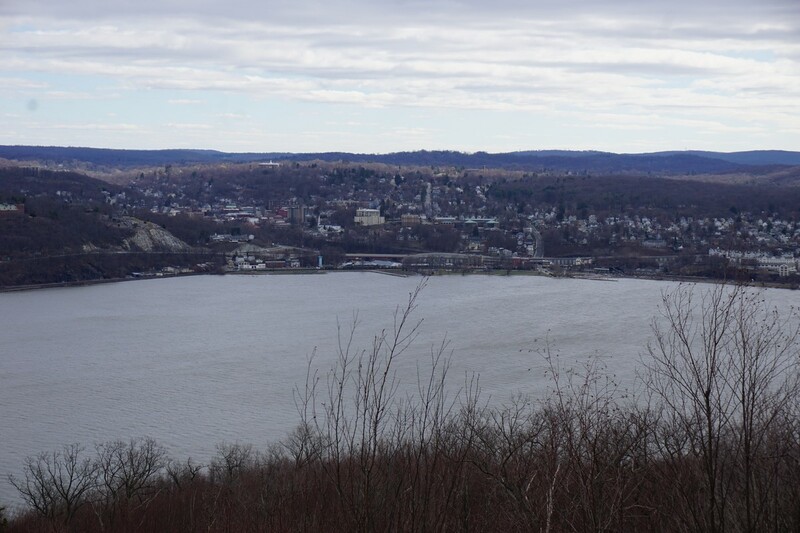 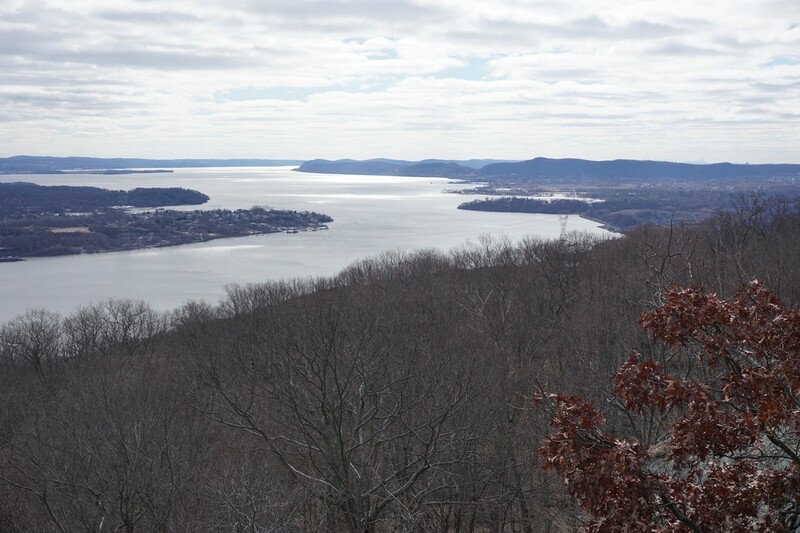 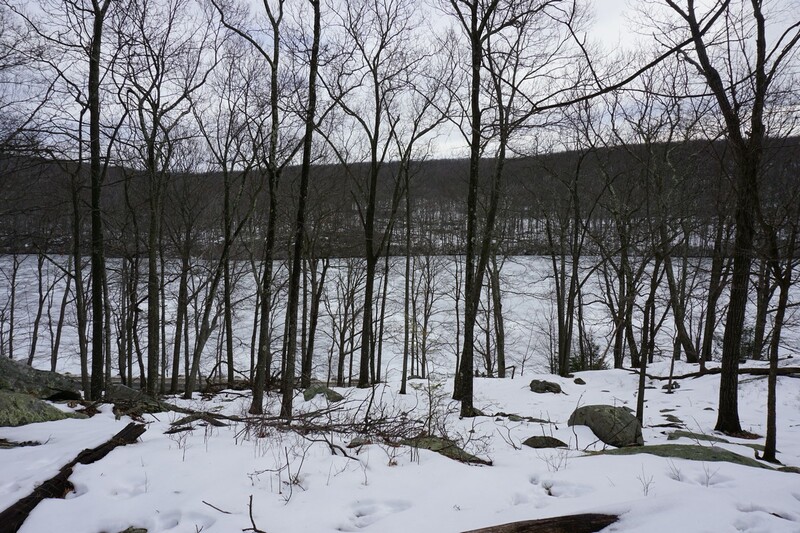 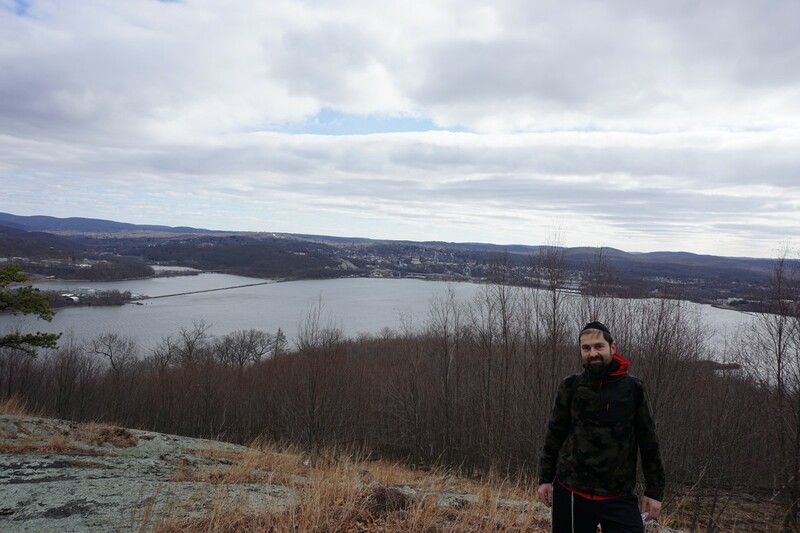 I parked at the parking area on Gate Hill Road at the top of the hill, at the Suffern-Bear Mountain Trailhead. 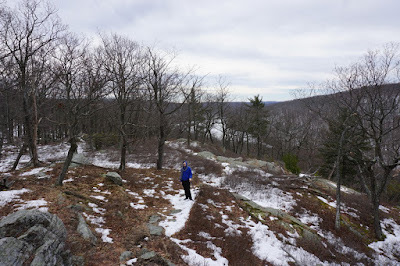 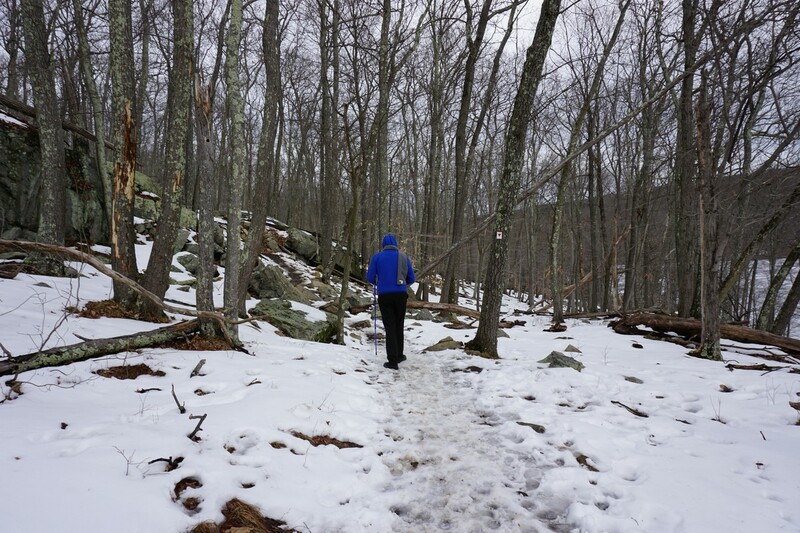 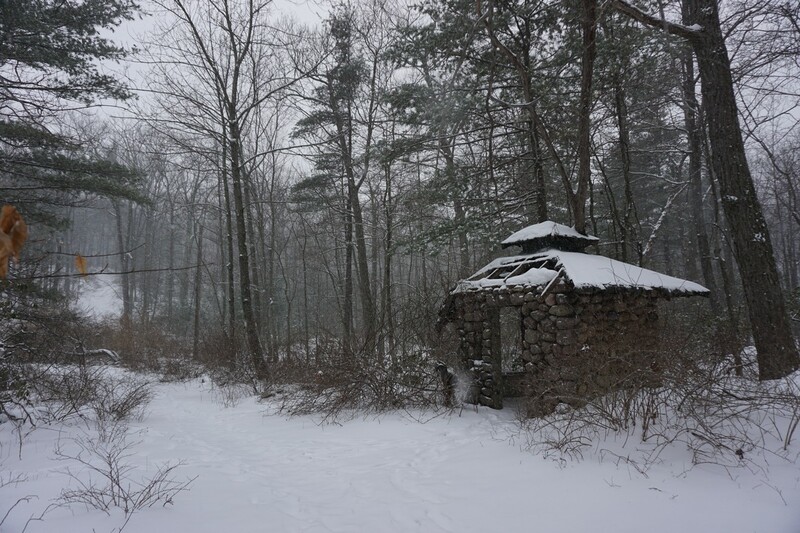 I put on my snowshoes and snowgear, and headed up the trail past the ORAK ruins and up to the view near Jackie Jones fire tower. 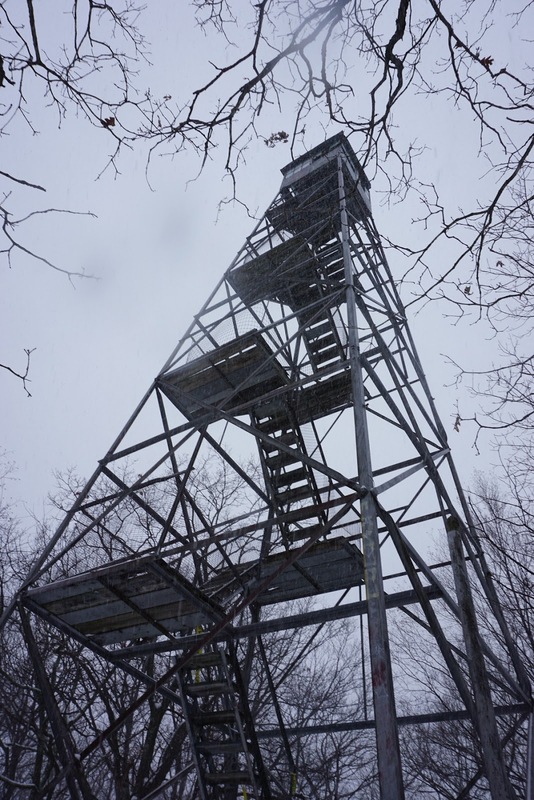 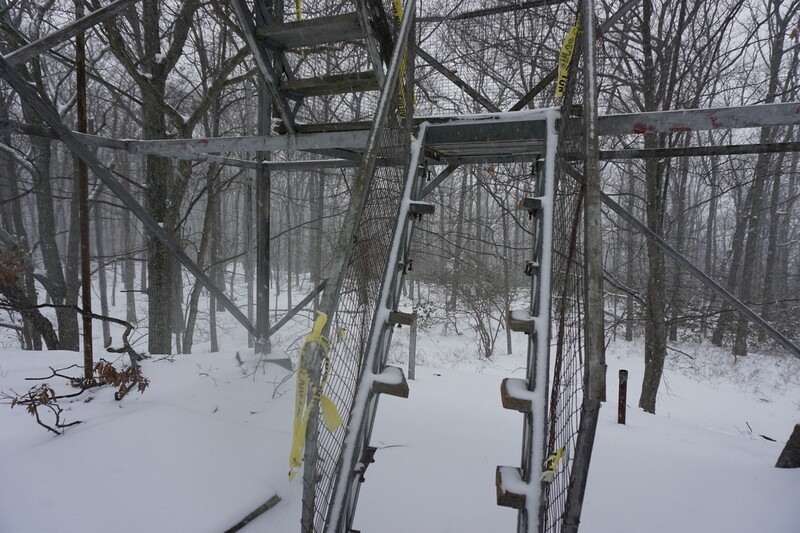 I then headed to the fire tower, which surprisingly had the bottom steps cut off! I presume this is for safety reasons as the steps had been getting very rickety. 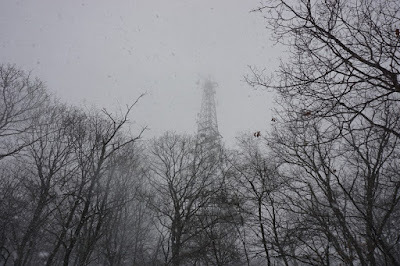 I just wish they would have repaired the tower rather than closing it off! 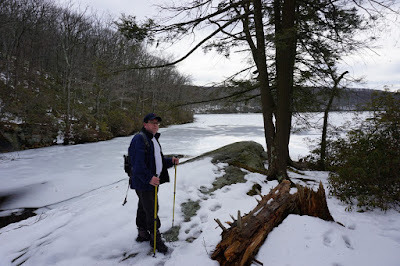 At this point I went to take the unmarked trail near the power lines down the mountain to the road near the Lake Welch dam. However, due to snow conditions and poor visibility, I had a hard time finding the way, and had to do a bit of a roundabout bushwack till I got to a more recognizable trail. By the time I got to the road, it was hardly recognizable due to the snow cover. 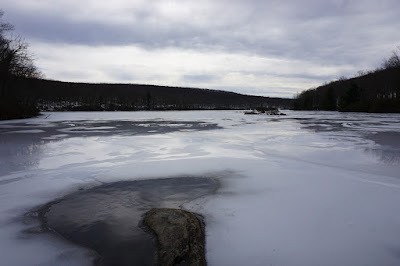 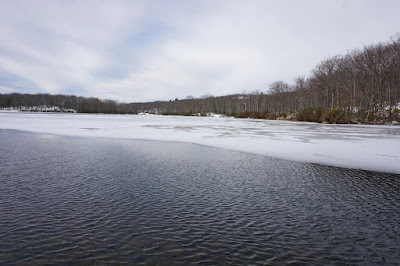 I went to the Lake Welch shore by the dam for a picture, and then went back along the road to my car. 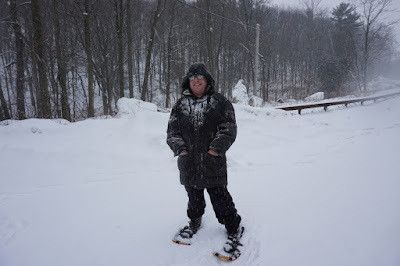 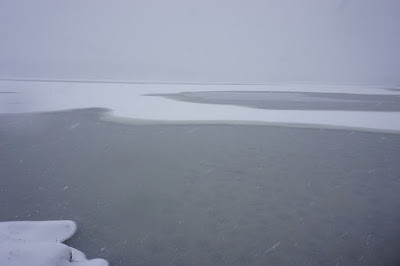 The road was completely covered, and I was able to walk along the road with my snowshoes. I did not pass a single car while walking along the road.